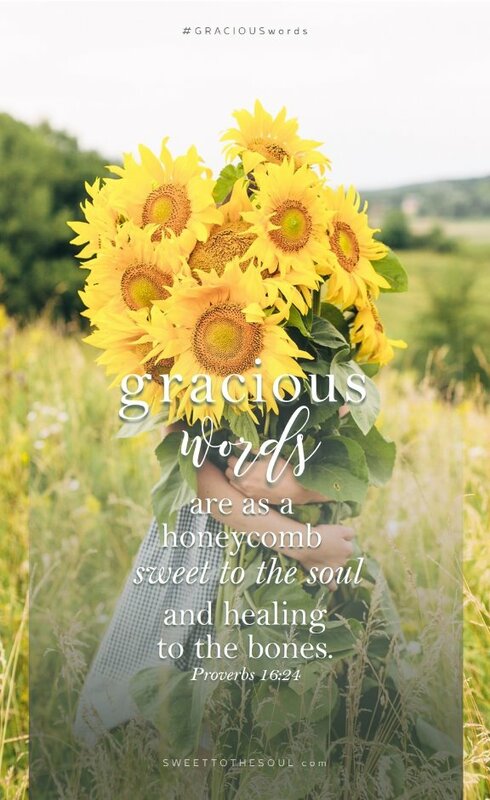 "Gracious words are as a honeycomb, sweet to the soul and healing to the bones." 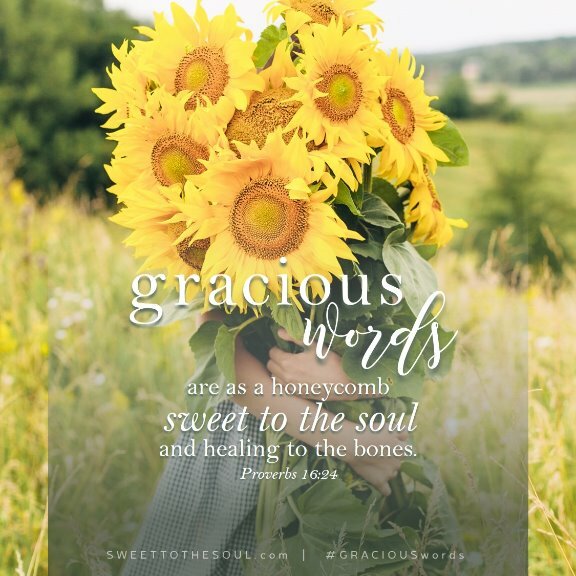 ​Several years ago, when the Lord began nudging me into a ministry, Proverbs 16:24, “Gracious words are as a honeycomb, sweet to the soul and healing to the bones”, was the scripture He gave me. This is what Sweet To The Soul would be about, inspiring women through God’s gracious words. I specify “God’s” gracious words because Jana’s words are not always gracious. planted as a seed in my heart almost 30 years ago. Naturally, since this was my ministry scripture, when I began writing I naively thought this would be my first topic, but God still had much to teach me and I still had much to learn. It was more like a breaking than a teaching. You know, like a cowboy trying to break a wild mustang into submission. Something like that. I wasn’t exactly willing. What I have written in our newest Bible Study is more devotional style as I share some of the teaching (breaking) moments in my own life. And these are hard to share. My vanity urges me not to share because I dare to think of the self-portrait I am painting here. In truth, these devotionals were written over the last 2-3 years. ​So I would like to invite you to join me over the next 6 weeks as we take a look at what the Bible has to say about the impact of our words and how we can speak with kindness and mercy. Take a peek inside the 70+ page Gracious Words Bible Study booklet. In addition to the Gracious Words study booklet, we also have a fun Bible Journaling Kit filled with ​words & phrases, cards, color pages, tip-ins, tags, tabs, stickers and more! All are printed and ready for you to color, cut, journal and let your soul be inspired! 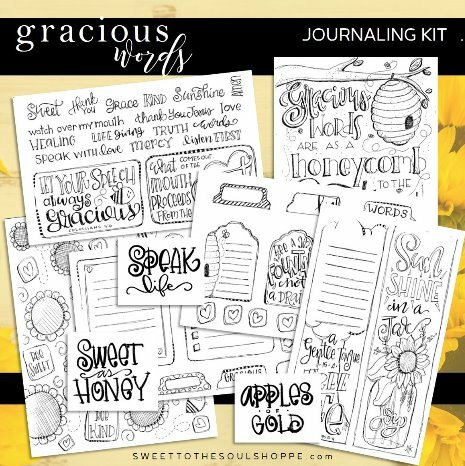 Take a peek inside the Gracious Words Bible Journaling kit. ​You can also download our daily scripture reading list for FREE and follow along on-line during September and October. ​To get us started, I'd like to gift you this lock screen of our core scripture, Proverbs 16:24. Just download the image to your phone and set it as your wallpaper or lock screen. ​Find out where Jana will be teaching next. Check out our other Soul Inspired series.